When you leave Fort Hood, the sign above the gate warns, You've Survived the War, Now Survive the Homecoming. It is eerily prescient. For many years, Tim O'Brien's collection of short stories, The Things They Carried, has been required reading for those who want to really understand the human cost of the Vietnam War. In You Know When the Men Are Gone, Siobhan Fallon has done the same thing for our current conflict, showing readers the human faces and hidden dramas of war. (Reviewed by Norah Piehl). Siobhan Fallon tells gripping, straight-up, no-nonsense stories about American soldiers and their families. It's clear from her tender yet tough-minded first book, You Know When the Men Are Gone, that she knows this world very well. A haunting collection likely to inform and move many readers, whether they are familiar with the intricacies of military life or not. Though the everyday experience of the women waiting for their husbands to come home may be a sense of muted life, these stories pulse with the reality of combat and its domestic repercussions. Fallon reveals the mostly hidden world of life on base for military families, and offers a powerful, unsentimental portrait of America at war. Starred Review. Significant both as war stories and love stories, this collection certifies Fallon as an indisputable talent. Excellent; even readers who do not usually read short stories should seek out this book. If you've never been on a military base, you might be surprised, upon reading You Know When the Men Are Gone, at just how extensive Fort Hood, Texas, is. It's a small city unto itself, complete with all the services and conveniences that mean its residents never really have to leave if they don't want to. As Siobhan Fallon illustrates in her novel, different inhabitants have different reasons for embracing Fort Hood's insularity - or rejecting it. 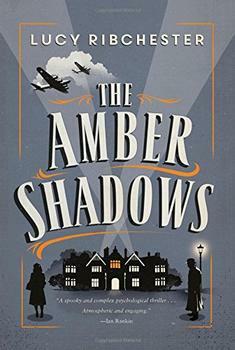 During the dangerous days of World War II, Honey Deschamps is spending her days transcribing decrypted messages at Bletchley Park, when she starts to receive bizarrely coded packages. When everyone is keeping secrets, who can you trust?